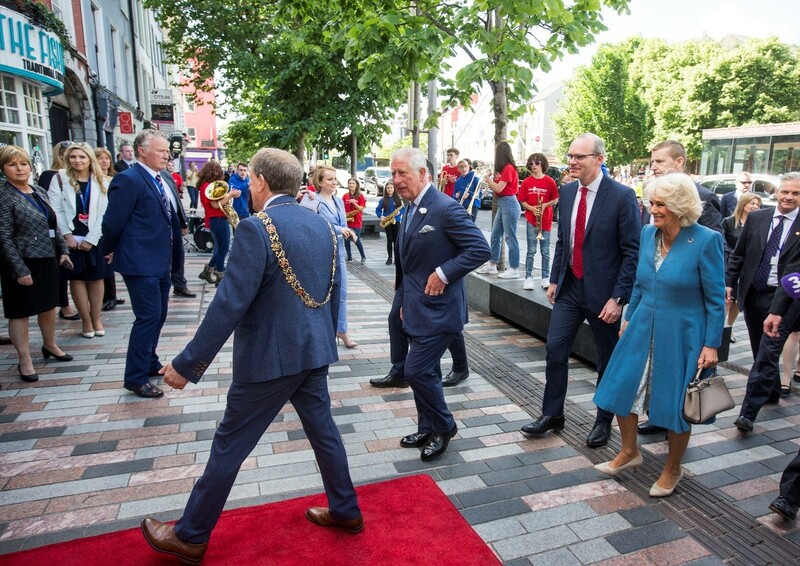 On Thursday the 14th June, Grand Parade in Cork was full of school children, the media and hundreds of friendly faces all there to catch a glimpse, or for the lucky few a chance to meet, HRH The Prince of Wales and HRH The Duchess of Cornwall. As the royal couple made their way to the English Market, where they followed in the footsteps of Her Majesty Queen Elizabeth in 2011, they were greeted by onlookers at every turn and the smiles on their faces showed how much they appreciated and enjoyed the warm welcome they received. The English Market is one of my favourite accounts to work on for many reasons, and this royal visit was a major highlight. As I stood on the red carpet waiting for the arrival of the highly anticipated guests, I was filled with excitement and pride as I looked around and saw the ‘Céad Míle Fáilte’ waiting for them. It’s true to say we really do give a hundred thousand welcomes and quite literally roll out the red carpet to welcome all who visit Ireland. 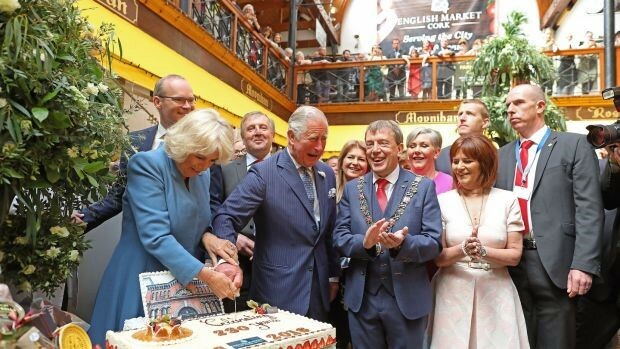 The royal couple spent approximately an hour in the English Market as they laughed, chatted and even cut the 230th birthday cake for the English Market. Some people may not favour the royal family or have their own views on the royal couple but the friendliness of the Irish was well and truly on show and the fun and laughter enjoyed by the royal couple on the day really made me proud of all involved and all who and welcomed them with open arms. This visit has been great for the relationship between our two countries and it also puts a another big spotlight on Ireland as a great and friendly place to visit. Thank you Charles and Camilla! This entry was posted on June 27, 2018 at 11:56 am and is filed under Destination Branding, Event Management, History, Irish Economy, Tourism. You can follow any responses to this entry through the RSS 2.0 feed. You can leave a response, or trackback from your own site. Thanks Fergal – it was a great day ! !